The Internet of Things (IoT) is used with heterogeneous devices. They range from 8 bit to 32 bit microcontrollers from different manufacturers. Traditional Operating system (OS) or the conventional embedded OS may not suit the requirements that these tiny devices demand (low power, small in size and low memory foot print). 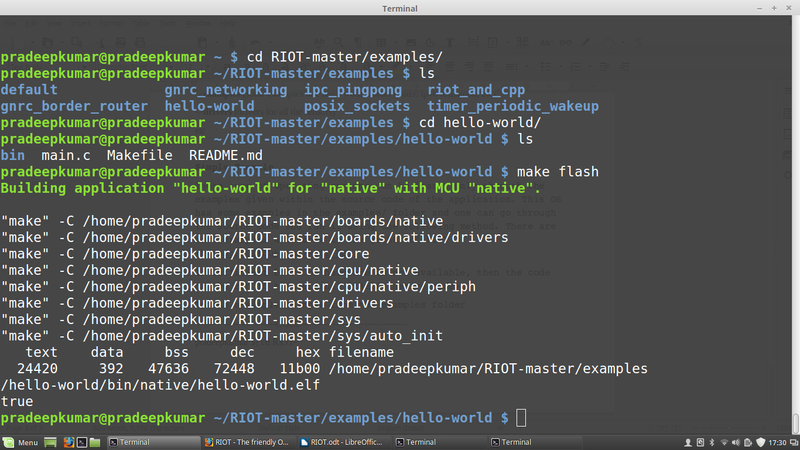 RIOT Operating system is a free and open source arachtiecture which is friendly to IoT applications and proved to be a perfect OS for IoT Systems. It started in the year 2008 as an Operating system for Wireless Sensor nodes, later the OS is fine tuned for IOT systems. The OS is actively developed and maintained. There are no new programming environments, C or C++ can be used directly with existing tools like gcc, gdb, etc. 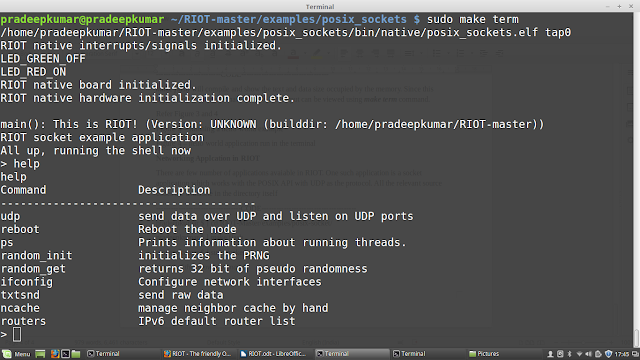 and it supports the native port, where one can simulate the output within the OS it was running. 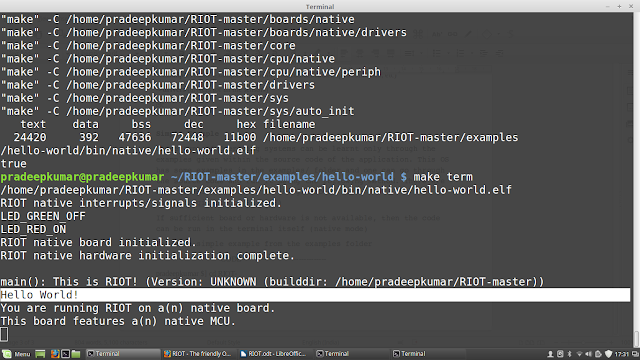 So RIOT is supported in Linux as well as OS X. Most of the sensor boards have support from this OS like TelosB, ST Microcontroller sensor boards, Zolertia, MSP 430 boards,Aruduino sensors, Atmel, and the list is so huge. It also support virtualization that the code and application can run as a simple unix process. 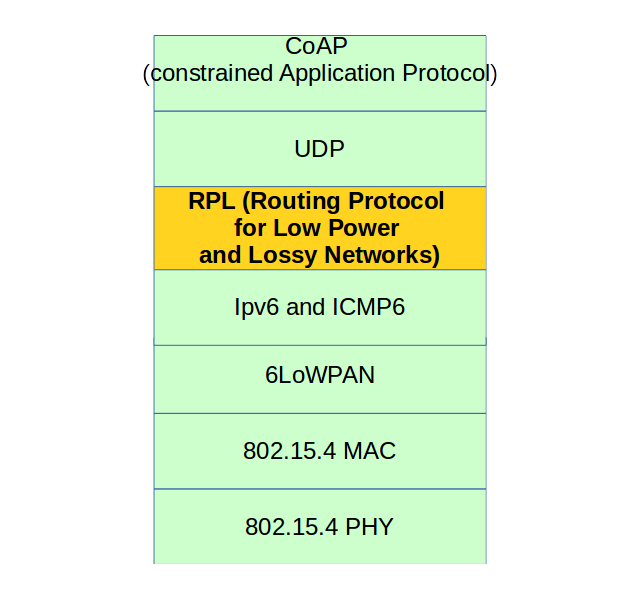 It also uses wireshark for packet sniffing. There are other two OS called Contiki OS (Already featured in OSFY) and Tiny OS which are suitable for IoT applications. But RIOT takes an upper hand in terms of memory usage and support. 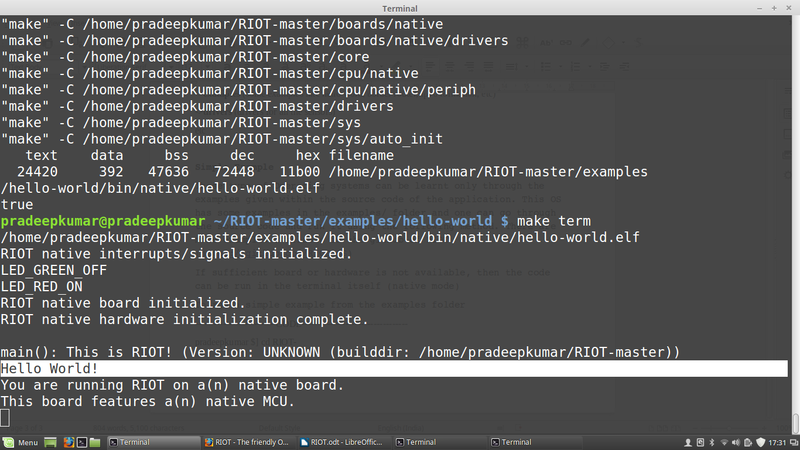 Hello World!You are running RIOT on a(n) native board. make flash will compile and show the text and data size occupied by the memory. 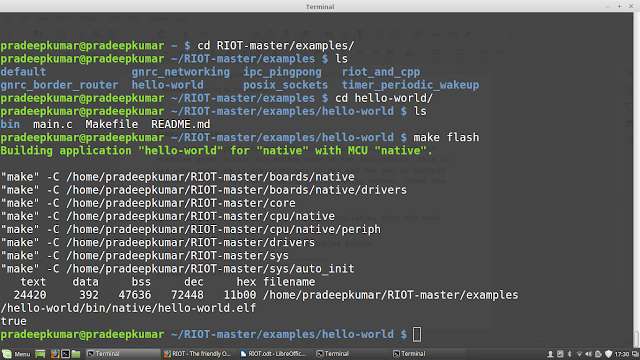 Since this application is run under native mode, the output can be viewed using make term command. ps Prints information about running threads. There are only limited number of Operating systems available for the IoT sensors and among these OS, RIOT really has a well documented API with huge support for most of the boards, architecture and sensors. The main advantage being, RIOT is actively developed and maintained, there is a incremental version every month. Students and electronic hobby enthusiasts are using arduino and Raspberry Pi for their IoT applications these days, RIOT really help these boards and sensors to achieve low memory footprint and low energy efficiency without any compromise on the performance of the IoT Systems. NB: This article is published in the "Open Source for You Magazine" February 2016 Edition.